I've been getting a lot of flack from some people about my views on the church today. Some have taken exception to the way I often call the traditional church the "institutional" church. It seems they don't like the word "institution" when referring to the church. These same people can't seem to get their heads around the possibility of Born-Again, God-Fearing, Spirit-Filled Christians being out there who have nothing to do with the same institutional church that many of them hold so dear. Not long ago a brother, who doesn't go to the institutional church, told me of how a pastor said that he was an "anathema!" For those not familiar with that word, here is how my dictionary defines anathema: "1. a solemn curse by church authorities excommunicating a person. 2. the act of denouncing or condemning a person or thing as evil; curse. 3. a person or thing accursed. 4. a person or thing that is detested and condemned." That's a pretty harsh word, isn't it? There doesn't seem to be a whole lot of room for grace there. You might almost think that people using that word were describing the devil himself, or at very least, some of his demons. But to call a brother or sister in the Lord an "anathema?" Wow! So much for Matthew 7:1. But am I just another religious quack? Am I deceived? I'm sure that there are many out there who think that I am. However, if it were just me, then maybe such an assessment might be valid. But there are now multitudes of Christians, like me, who are saying the same thing. Are we all quacks? Are we all equally deceived? Or is there something else going on here? "Multitudes of Christians within the church are moving toward the point where they may reject the institution that we call the church. They are hungry for a personal and vital experience with Jesus Christ. They want a heartwarming personal faith. 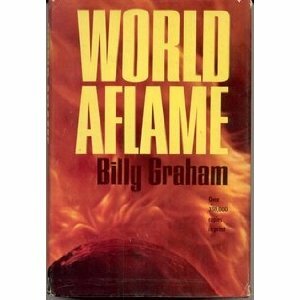 Unless the church quickly recovers its authoritative Biblical message, we may witness the spectacle of millions of Christians going outside the institutional church to find spiritual food" (Billy Graham, World Aflame, 1964). "Because the church, in turning to naturalistic religion, increasingly proclaims a humanistic gospel, thousands of laymen and clergymen alike are asking penetrating questions about the purpose and mission of the church. Thousands of loyal church members, particularly in America, are beginning to meet in prayer groups and Bible study classes. Multitudes of Christians within the church are moving toward the point where they may reject the institution that we call the church. They are beginning to turn to more simplified forms of worship. They are hungry for a personal and vital experience with Jesus Christ. They want a heartwarming, personal faith. Unless the church quickly recovers its authoritative Biblical message, we may witness the spectacle of millions of Christians going outside the institutional church to find spiritual food." It looks as if this book is still available on Amazon.com for those who are interested in a paper copy of Billy Graham's book. What I found fascinating in all this was how prophetic Billy Graham's quote really seems to be. Here he was saying something, almost 50 years ago, that must have been totally incomprehensible to the people in that day. The church of 1964 knew nothing, or almost nothing, of simple and organic church fellowships like we're seeing today. As I already alluded to, many today also don't get it. There is probably no Christian television personality today as highly revered as Billy Graham. You mention the word "evangelism" anywhere, and Billy Graham's name quickly comes up as synonymous with that word. There are a lot of pseudo-Christian leaders on TV today that I might be tempted to call "quacks," but in my books, that has never been the case with Billy Graham. The way I see it, if I cannot trust and believe Billy Graham, then I certainly cannot trust and believe anyone else who claims to be somebody in the world of Christian media today. I'm not going to spend much time on this, but let's look again at what Billy Graham said almost 50 years ago, back in 1964. 1. He said the church was turning to a "naturalistic religion" and increasingly proclaims a "humanistic gospel." What does that mean? Natural religion is essentially a system of belief that comes about primarily by observing the physical world. This is not totally without some biblical support. Paul does speak about a certain knowledge of God that we get by looking at the created world around us (Romans 1: 19-20). Obviously, though, a proper understanding of God requires more than just that. God desires more than just a bunch of "tree huggers." A humanistic gospel, on the other hand, focusses on humanity. However, Paul also says that a different gospel is no Gospel at all (Galatians 1:7). Someone has said that, "humanism is in effect a form of atheism." While humanism may also recognize a higher Being (ie., God), it seems to emphasize the superiority of mankind over all others (including God). Has the church come to that? Does it have, under the guise of being a Christian church, atheistic "tree" worshippers in it? Certainly we cannot blanket them all as having gone down that slippery slope, but some more liberally minded no doubt already have. I've heard of some pastors who confessed to being atheists for many years of their "ministry," before eventually coming to know the Lord. But what does that say about what was going on in their pulpits before then? 2. He said that "laymen and clergymen alike" are asking the questions. Personally, I don't buy into the distinctions of "layman" versus "clergy." The Bible doesn't recognize either term and so neither do I. Regardless, though, for the purpose of this article, the point being made here is that the questions aren't just coming from a handful of disgruntled pew-sitters; they're coming from those behind the pulpits too. Preachers are starting to ask the same question that many in their congregations are asking. I too have asked those questions, as have many others that I know. I have met and fellowshipped with former institutional people from both pulpit and pew. One former pastor I know from outside the institution even has a Doctor of Ministry degree from a prestigious seminary. 3. He said that "thousands" of loyal members are beginning to meet in smaller groups. I suspect the actual number is more likely in the "tens of thousands." Either way, the fact is, small groups unaffiliated with any institutional church are growing in numbers, even by those still in some form of semi-regular Sunday attendance at an institutional church. I met for a time in one mid-week group that was roughly evenly split in terms of half who still went to Sunday institution and half who no longer did. 4. He said, "multitudes of Christians within the church are moving toward the point where they may reject the institution that we call the church." We are already seeing this. Multitudes and multitudes of Christians have already rejected the institutional church! It's like the Exodus all over again! These aren't just a bunch of "backsliders," for the term backslider refers primarily to someone who no longer has anything to do with the church. Yes, these multitudes are leaving the institutional church, but they are still "being" the church wherever the Spirit leads them. They have rejected the idea of "Going" to church; but in the process they've embraced the notion of "Being" the church. There is a world of difference between "going" and "being." 5. He said they are "beginning to turn to more simplified forms of worship." A common lingo today is "Simple Church" or "Organic Church." Many of those same multitudes are now meeting in smaller organically-minded house church, or simple church, fellowships. In recent years there has been a wave of new books on the market on the "Simple" and "Organic" church movements. Many social network sites like Simple Church have sprung up lately. There is something refreshing about sitting in a room around a table, looking at each other face to face, as opposed to fellowshipping with the back of the head in front of you. Suddenly the church has faces again. Suddenly everyone has the opportunity to participate. 6. He said they are "hungry for a personal and vital experience with Jesus Christ. They want a heartwarming, personal faith." What does that say about the perception of the institutional church by those multitudes? Isn't it maybe just a little ironic that they feel they are not getting fed there? The institutional church seems to have become irrelevant for many when it comes to growing their faith in Jesus Christ. In all fairness, they seem OK with handling the new believer. They're OK with dishing out the pablum, but once the believer realizes that they need some meat and potatoes in their faith diet, they don't seem to be equipped to do that. The irony is that a deeper walk with Jesus almost has to go out of the building. Many are starting to see that a "vital experience with Jesus Christ" is actually hampered in the building and must leave into the world in order to really grow. Certainly there are many within the institution that will disagree with that, but there are now almost as many outside the institution that do agree with it. 7. He said that, "millions of Christians going outside the institutional church to find spiritual food." I saw one video recently where someone said that those leaving are often doing so, not because they no longer believe, but "to preserve their faith." The reason for this, I suspect, is because the traditional institutional church does not allow for people to put their faith into action. The professional team up front on the stage does the "ministry," whereas everyone else in the pews does the "spectating." Spiritual food doesn't come by watching "ministry" being done; it comes rather by doing the ministry. My grandfather used to say, "Sports isn't what you watch; it's what you do." To get physical benefit from sports, you have to go and actually play the game yourself. The couch quarterback doesn't benefit physically at all. Ministry is no different. If you want to find the spiritual food associated with ministry, you have to get off the pew just like the sports enthusiast has to get off the couch. Pew ministry has the same value as couch sports; none. Years ago Billy Graham already started to see that. That discovery still amazes me. I believe that his cry to the (institutional) church was that they might wake up and see this before it was too late. Like many prophetic utterances before him, his cry was ignored and possibly even ridiculed. So here we are almost 50 years later. The church landscape has changed. Some love its new wardrobe, some hate it or are confused by it, and some still seem strangely oblivious to it all. "Every major heresy that has been inflicted on God's people for the last 2,000 years has come from organized groups with 'leaders' who thought they knew God's mind better than anyone around them. Conversely, virtually every move of God among people hungering for Him was rejected by the 'church' of that day and were excluded, excommunicated or executed for following God." So what is going on? Why this mass exodus from the institutional church? Is God saying something through this? Is God shaking up the church in preparation for something? Is all of this somehow playing into His end time plans? Is it a case of heresy, and if so whose; the institution's or those leaving the institution? And what about prophets? Biblically speaking, a prophet was deemed a true and trustworthy prophet if his prophecy actually came to pass. Has this prophecy of Billy Graham's come to pass? If so, can we say that his prophecy was true and trustworthy? I'm going to close with the words of Jesus. He said to a fellow by the name of Nicodemus, "The wind blows where it wishes, and you hear its sound, but you do not know where it comes from or where it goes. 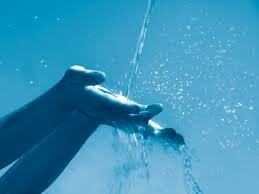 So it is with everyone who is born of the Spirit" (John 3:8). I do not mean to offend, and please forgive me if I do, but the more I walk this non-institutional walk, the less I understand how someone who claims to be born of the Spirit can be content with a pew. If life in the Spirit is akin to the wind that Jesus described, then it is also not a sedentary life. As a matter of fact, come Sunday morning, the person truly "born of the Spirit" likely won't even know until the last minute exactly where God will take him that day. Yes, He might take you to the institution, but He also just as likely might take you somewhere else. Are we open to such a scenario? Hmm, I wonder.